Krauss Kitchens did an unbelievable job on our kitchen and all within 5 working day's from start to finish, astounding. We could not be happier with the finished product. From the ground up Rob, Paul and their team of trade's people were all so professional and took great pride in there workmanship to deliver us our new kitchen. Rob and his team kept us up to date with who, what and when things would be carried out all the way through which gave us piece of mind. Now we can enjoy using our kitchen one again. We recently built a new home and used Krauss Kitchens for the kitchen and vanities. Everything went smoothly from the design stage through to installation. We are extremely happy with the finished product. Thank you. Massive difference with our new kitchen and facelift. Krauss co-ordinated all the trades to have our new space looking great in just over two weeks. The family can't wait to move back in and start enjoying our new kitchen space. All our questions and concerns were met with up front answers so we all understood the expectations. Thank you. 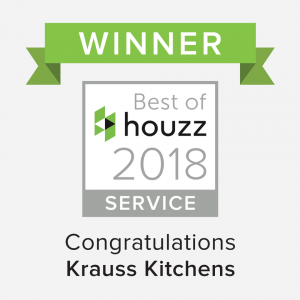 Krauss Kitchens and all the staff showed much knowledge and exceptional guidance throughout the process of making the best room in the house. It was an easy journey from design to installation. Thank you, WE LOVE IT! Having just moved (from a brand new kitchen), we looked for a similar facility in our new house. We were not disappointed in any way. Everything promised was delivered on time and to the high standard we required. Our previous kitchen took five weeks to install, this was just over a week and was to a higher standard than our Sydney kitchen at a significantly better price. I would not hesitate to recommend Krauss Kitchens if you want a great job at a fair price. I doubt you would get better service or value for the money. Once we had made our choices, Krauss Kitchens handled everything. Trades were there when they said they would be and everything went very smoothly. Couldn't be happier. 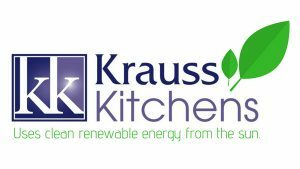 Excellent customer service, Dream Kitchen From our initial meeting with Paul from Krauss kitchens, the experience, expertise, friendly and professional manner and advice we received made it an easy choice to choose Krauss to design our new kitchen. We were kept well informed throughout the whole process. The tradesmen from Krauss, the carpenters and stone masons were all experienced, friendly and professional. The whole process was less than a week and we absolutely love our new kitchen. We were recommended to Krauss Kitchens and would highly recommend them to anyone wanting an excellent job!! Thanks Paul for all your help and ideas! Great team, great products and awesome service! Great quality kitchen Rob and the team did a very professional job with great ideas and workmanship. The quote price and delivery times were all kept with the work completed in a week including stone bench tops and splash backs. Thanks Krauss Kitchens. We had an excellent experience with Krauss Kitchens when we recently installed our kitchen. The design team were exceedingly patient with our changes in design choices and their attention to detail was particularly appreciated in regards to our kitchen needs. This is a family run business that oversees the job from start to finish. If you want a high quality kitchen product, I would highly recommend this company. Great Range of Products. Very helpful and knowledgeable staff. Our Beautiful New Kitchen. Many thanks to Rob Krauss and his team for our beautiful new kitchen. It was completed within a week with no hiccups. Very happy with the workmanship and quality of fittings. Wouldn’t hesitate in recommending Krauss Kitchens to anyone. From our first consultation to installation, every interaction was professional and thorough. Paul, Lisa, Rob and Steve go above and beyond and their people out in the factory are equally as awesome (wish I took their names as well) we've ended up with a dream kitchen that works well. Every Trade that Paul recommended, arrived on time as promised and over delivered. They installed our laundry 4 years ago as well which was also an awesome experience. Congratulations to this Iconic Illawarra company that have been in business over 40 years, there's definitely a reason why. WOW Simply stunning Kitchen! We chose Krauss Kitchens after we saw a friend’s new kitchen. The installation of our new kitchen was very fast and well-orchestrated with trades attending when required. The customer service was exemplary from the moment we walked into the showroom until completion. We felt informed every step of the way. Thank you, Paul, Rob and your wonderful staff and workers I wouldn’t hesitate in recommending Krauss Kitchens to anyone. Krauss Kitchens is a family owned and run company with over 40 years in the industry.